Easily connect two NPT female ports with Russell male to male union coupler. 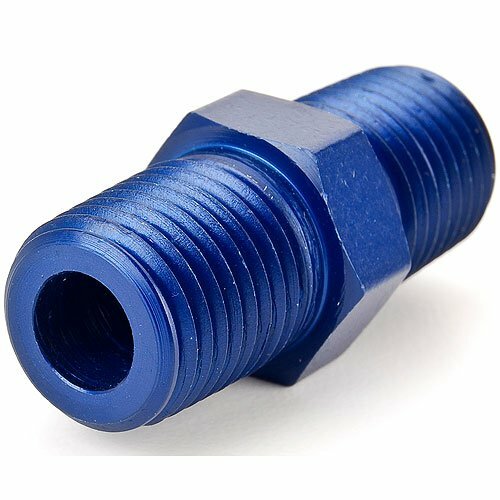 All aluminum construction featuring precise thread engagement and a tapered pipe thread sealing angle for a positive seal at maximum operating pressures. Features a high quality blue or black anodized finish or Russell's unique ultra-bright Endura finish that simulates the appearance of stainless steel.